The Municipality of Coron is part of the province of Palawan, Philippines. Made up over over 50 islands and minor islets, the islands are all part of the Calamian Archipelago. They also seperate the South China Sea from the Sulu Sea. However, Coron's geopgrahic position isn't what makes it so noteworthy. It is its magnificent beaches, jungles, and crystal clear waters, seen in this video by Droneland, that make it a top tropical destination. Description: Coron, officially the Municipality of Coron is a 1st class municipality in the province of Palawan, Philippines. According to the 2015 census, it has a population of 51,803 people. 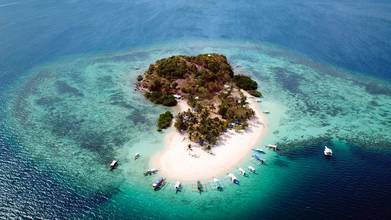 It comprises the eastern half of Busuanga Island, all of Coron Island and about 50 other minor islets stretching as far as Tara Island in the north-east and Canipo Island in the south. All these islands are part of the Calamian Archipelago in Northern Palawan that separates the South China Sea from the Sulu Sea. The municipality is home to the Coron Island Natural Biotic Area, which is listed in the natural category of the UNESCO World Heritage Tentative List.